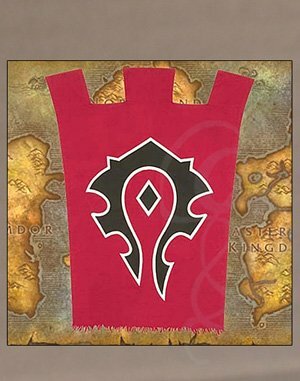 Inspired by World of Warcraft, the world's most popular online game, Strongblade introduces this exciting line of life-size banners. The artisans at Windlass worked closely with the creative team at Blizzard Entertainment to bring each of these amazing pieces to life. Each of these collectible pieces is manufactured of 100% heavy weave cotton, custom dyed & embroidered and/or intricately silk screened with some of the most iconic symbols and heraldry from the game. 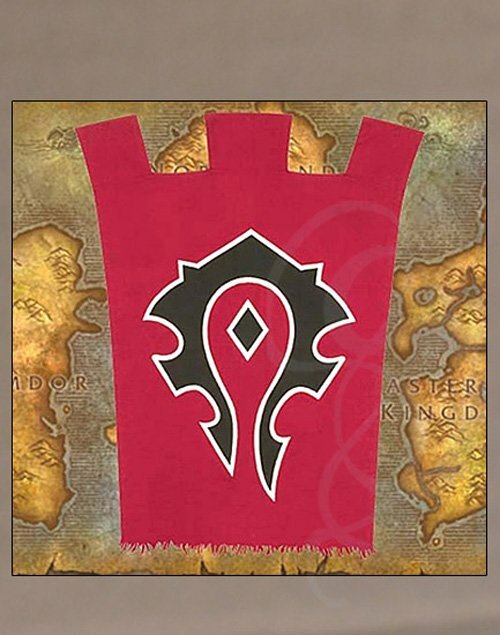 Proudly display your allegiance and truly live the adventure with this Banner of the Horde!